The second-longest running show on London’s West End, Les Miserables, has clocked more than 11,600 performances in its 28-year-run thus far – but even those impressive numbers pale in comparison when measured against Agatha Christie’s classic whodunit. The Mousetrap, written specifically for the late Queen Mary’s 80th birthday at her request, began its life as a 30-minute radio show called Three Blind Mice before changing its title to the current one when its stage adaptation opened in 1952. Christie had famously suggested that it would only run for eight months or so, and gave the rights to her grandson for his ninth birthday. And yet more than 60 years and 25,000 shows later, it’s still going strong and showing no signs of aging – now, its West End cast are finally making their much-anticipated and long-awaited trip to our sunny shores. ‘It is as relevant today as it was in 1952 as people don’t change that much; they love a good story today as much as they did 60 years ago. 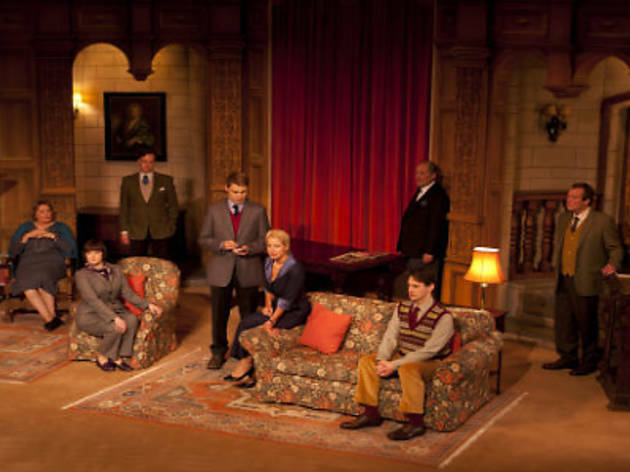 Today it has the added caveat of being a “period piece” as well, so we are showing a little piece of England in the 1950s,’ says Denise Silvey, who has been involved with The Mousetrap on and off since 1994, first by playing Miss Casewell and then becoming production supervisor of the West End show in 2009 and directing the current production. 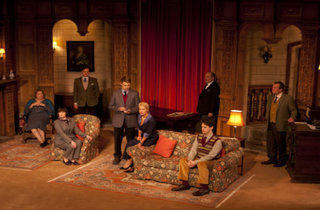 See how you can get to mingle with the cast of The Mousetrap over afternoon tea.